Our online booklet tests if you are ready, and gives advice on what to do to prepare for emergencies. This booklet could save your life. Read it. Fill it in. Keep it handy. 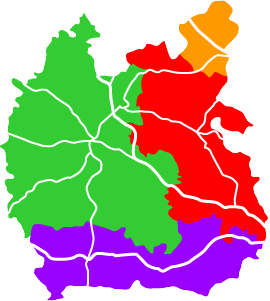 The Thames Valley includes Berkshire, Buckinghamshire, Milton Keynes and Oxfordshire. Click on each area for local resilience organisations and useful information. Warning you of hazardous conditions, such as flooding, snow and drought. On this website you will find a range of information about how individuals, families, communities and businesses can prepare for emergencies; to improve resilience; and ensure they are prepared for the unexpected. You can also access information on active emergencies and find links to local agencies, the media and useful publications. Select the link to "Weather warnings" above for information on how to get warnings from the Met Office website.